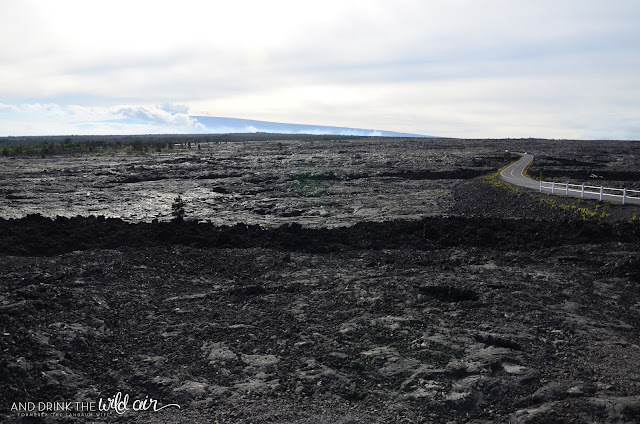 There isn't a parking lot here, only a pullout on the right side of the road (heading south). 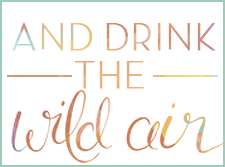 There are no restrooms, no water, nor shade at this spot, so make sure you've got your sunscreen, hat, and water in tow. 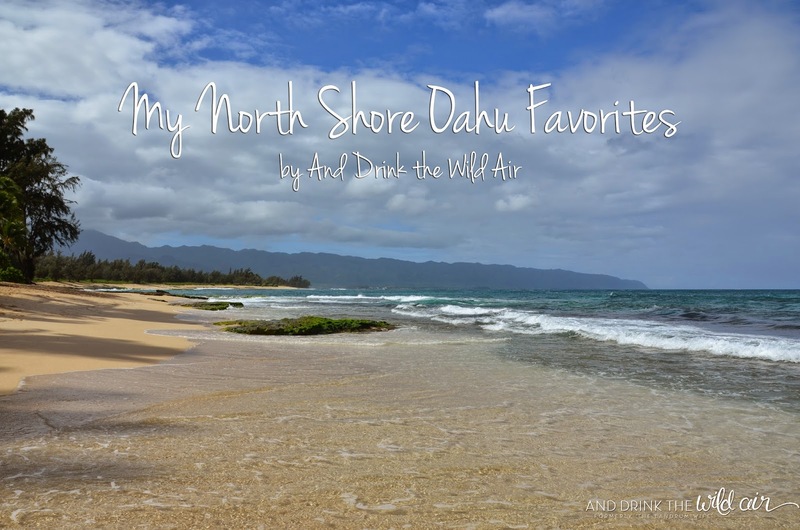 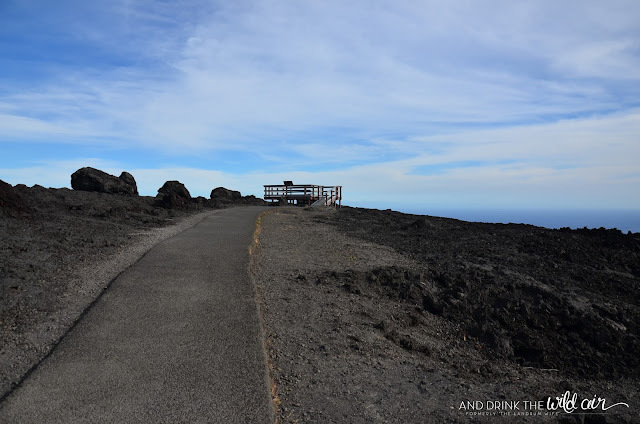 I would plan to spend about 10 minutes or so here to check out Mauna Ulu and the partial coastal view while also exploring the lava flows. 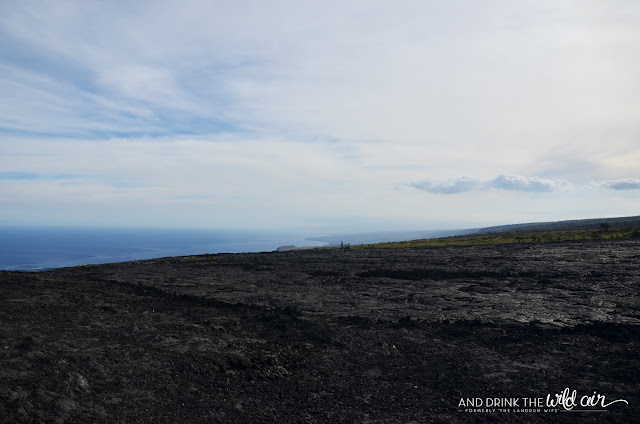 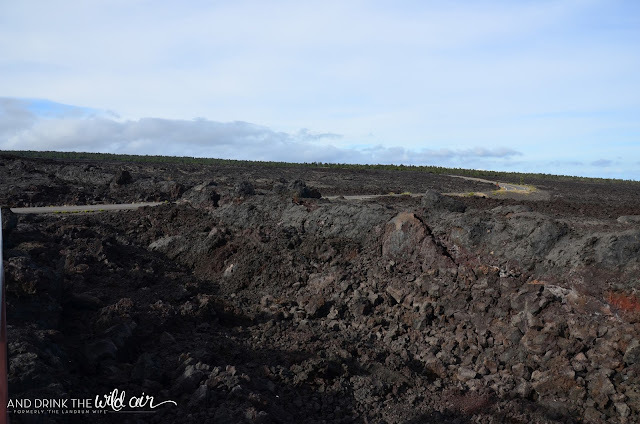 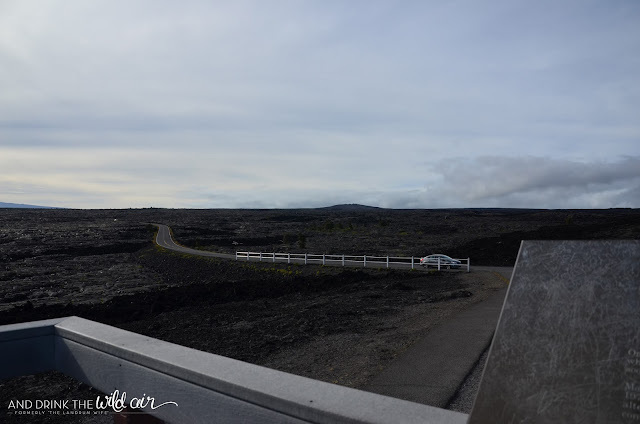 At this stop on the driving tour, you are able to get a better view of Mauna Ulu, the part of the Kilauea Volcano responsible for the flows you saw at Mau Loa o Mauna Ulu Pullout in the last post and for the lava flows you still see around you now. Mauna Ulu was estimated to have produced some 345 million cubic feet of lava between 1969 and 1974 -- a figure I can't even quite wrap my head around! They covered 17.6 square miles and added around 230 acres of brand new land to the state of Hawaii. Who needs conquistadors when you've got volcanoes to add land for you? 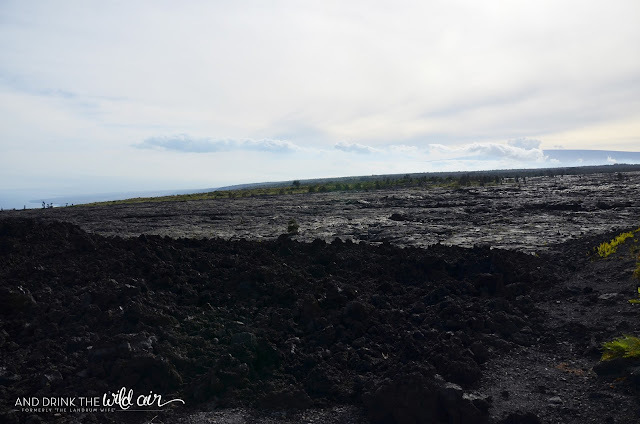 From the viewing platform in the picture above, you are rewarded with some beautiful views of the landscape around you, including Mauna Ulu. 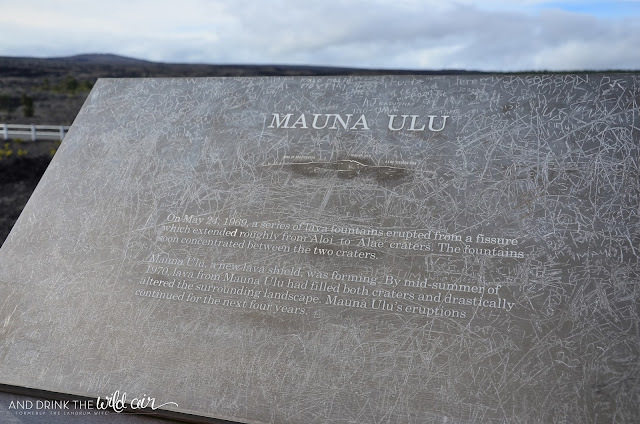 There's even a sign at the platform detailing a little information about Mauna Ulu's eruption. 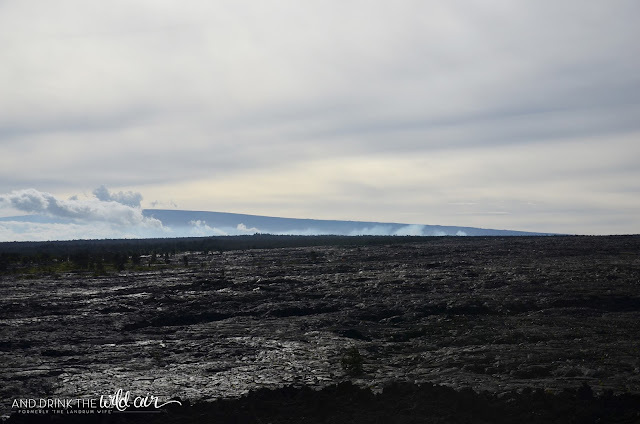 You should also be able to see the plume of steam coming from the current lava lake at Halemaumau Crater that you saw all along Crater Rim Drive, with the best view being from the Jaggar Museum. 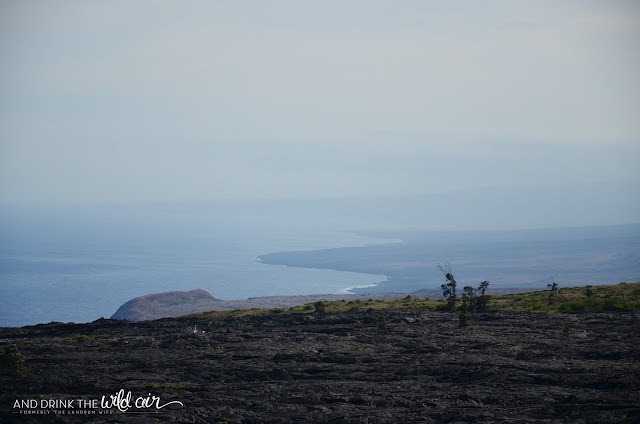 The view of the southern Big Island coastline is also just stunning from this location. 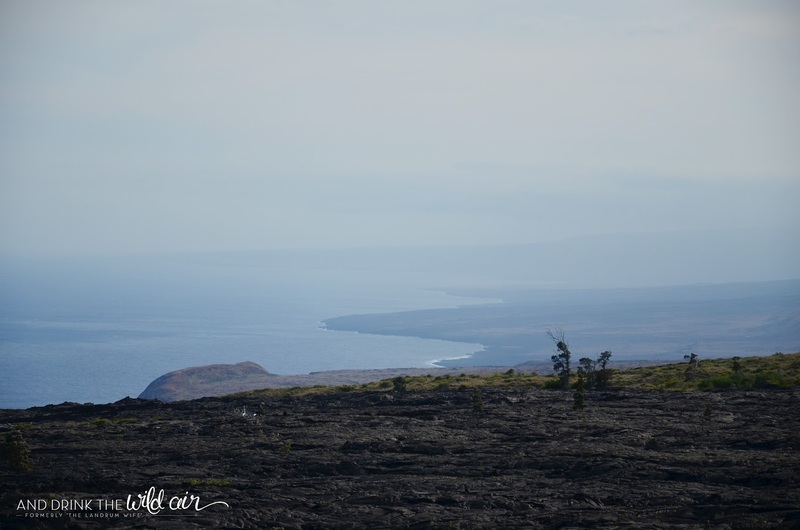 You really start to see and get a feel for the size of the Holei Pali (cliff) and understand just how you're going to get to the coastline considering you started at around 4,000 feet in elevation at the beginning of your drive! 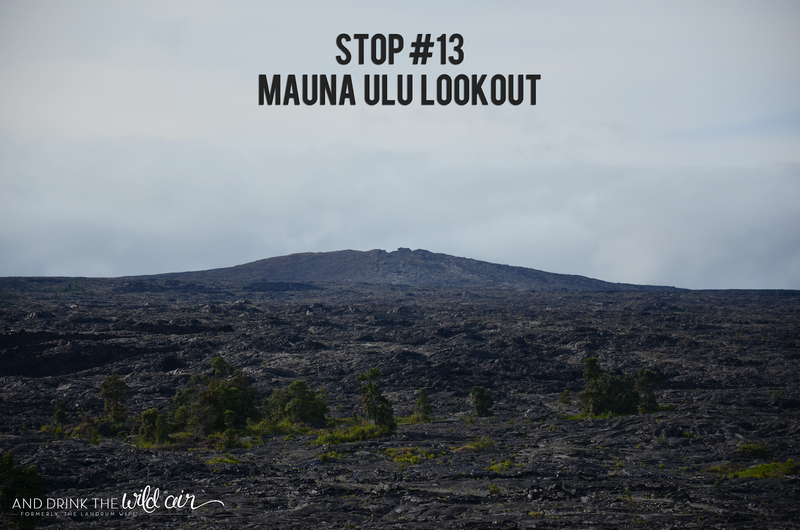 STOP 13: Mauna Ulu Lookout <--- You are here!